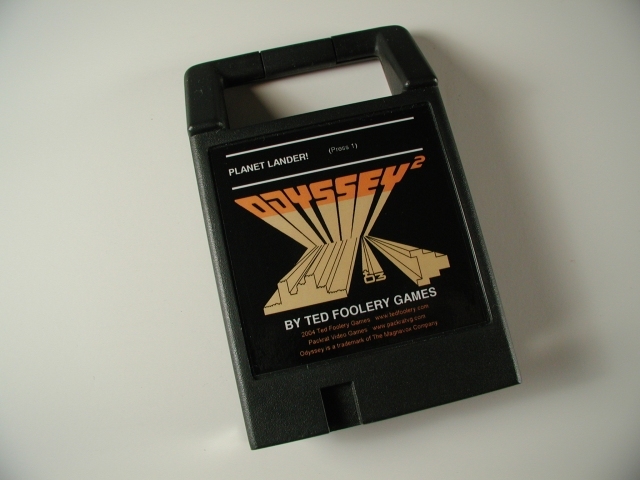 In Ted Szczypiorski's 1st Odyssey2 homebrew, Planet Lander, you must successfuly land your ship on as many planets as possible before your fuel runs out. Your standard equipment includes a fuel gauge, an X-coordinate gauage, and a Y-coordinate gauge. Planet Lander is Ted Szczypiorski's first O2 game, a Lunar Lander clone, and a great one at that! 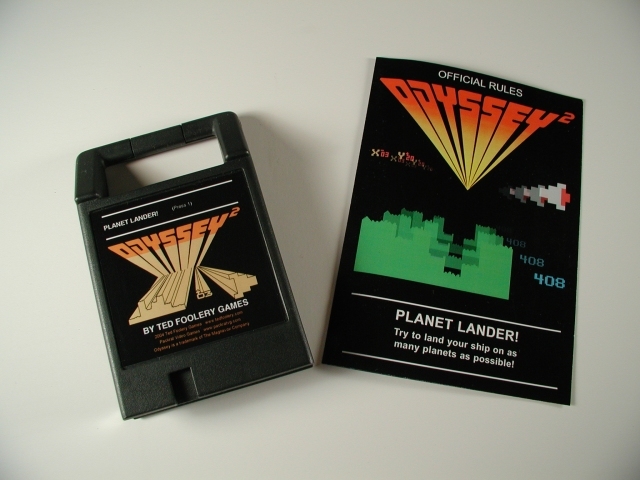 Great care has been taken to keep Planet Lander as true to the original Odyssey2 releases as possible, making this a must-have for every O2 collector! Comes with cartridge, full-color manual, and index card.